A holiday with Sailmoments is not intended to be a full organized trip, in which everything is schedule and planned beforehand. It is not either an all-inclusive luxury hotel where you don’t have to do anything at all. Sailmoments is much more than this; it’s a one live time experience, a dream made true for sea lovers where every moment will be unforgettable. Day and night trips, away from the land in open sea, learning how to maneuver a great boat, just with the rumor of the waves and the wind as companion and join with a team of friends the fantastic experience of sailing helped by the sun or the stars. For those who have not sailed before, it’s important to note that during the night trips, the boat does not stop and therefore we will make 2/3 hours guards usually with two people. We must stay on deck watching and controlling the boat. 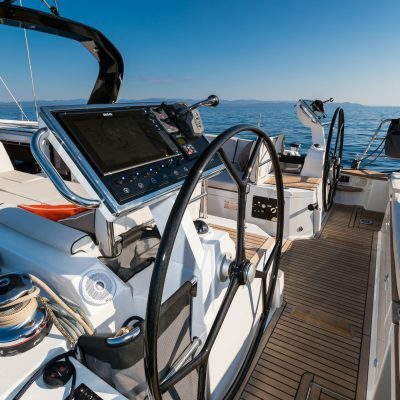 Nothing to worry about, we are fully equipped with all the necessary technology that thinks for us, but must be aware and you will experience the navigation in its purest state, something that we are sure you will captivate. Cooking on board it’s a delightful pleasure; we will share amongst all, our special recipes demonstrating our qualities as chefs by using ingredients we will be buying through our different stops along the way as well as before we start the cruise. As part of the experience, most of the nights we will be anchored in paradisiac bays. 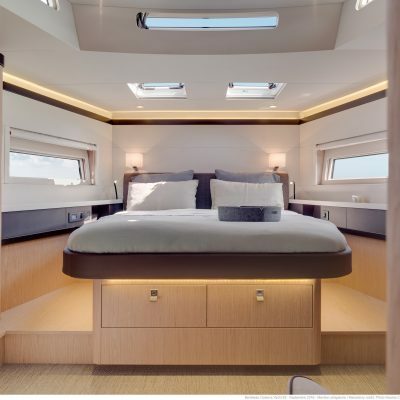 This will allow us to avoid expensive marina costs and also enjoy the true feeling of sleeping under the stars with the soft and gentle movement of the waves. However this will only be possible if the weather conditions are favorable, otherwise we will look for a marina to spend the night in. We also have available a rubber dinghy that we will use to leave the boat and visit the different towns, restaurants, shops and any other places we would like to discover on the land. Sailmoments is not all about adventure and action, it’s also relaxing, wondering in deserted beaches, bathing in crystal clear waters, watching spectacular sunsets, playing with the dolphins and seeing colorful fishes around us. All surrounded by a luxurious environment that overcomes any five stars Hotel. But the best is the great solarium areas on the deck, to sunbathe during the day or dream with the stars at night, drinking your favorite cocktail or listening to music in your private party onboard. You can also enjoy under the deck a large and magnificent dining room with comfortable sofas, TV, music, and cabins with all the conveniences. 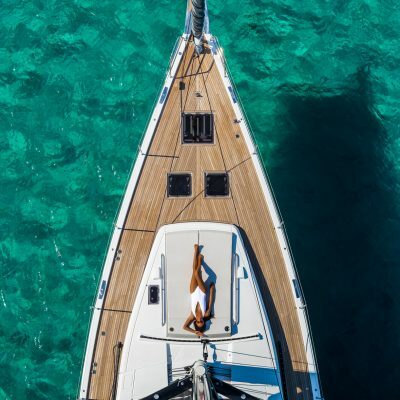 It is true that Sailmoments is not made for those who only look for a plain and simple holiday, without emotions, without adventures, but we also guarantee that your mind will rest like it never had before, daily worries will no longer exist, and the will vanish on the wind. The best anti stress solution. 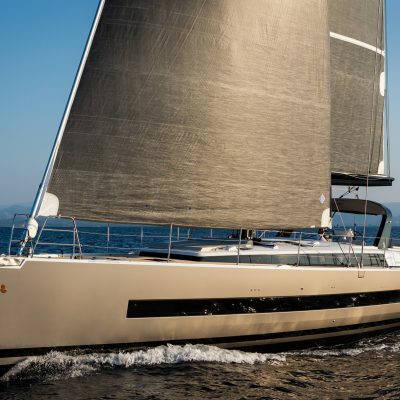 With Sailmoments you will sail in a magnificent Beneteau Oceanis 62 feet of 19 meters in length and an incredible beam. A brand new dreaming boat built in 2017 with the greatest facilities of a luxury resort. 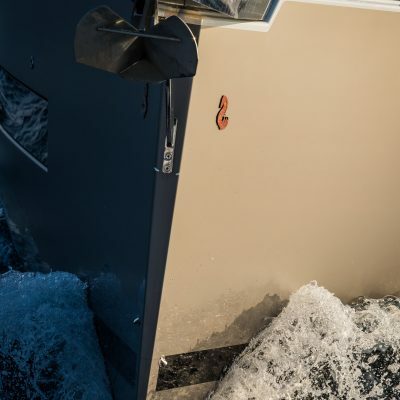 Here is the most important: If you decide to come with us you don’t need any special skills or previous experience, we only ask you two things: do not get sea sick and be willing to participate and learn! You will live a few magic days that you will never forget. We are looking forward to have you on board and experience with us a once in a life time experience on the sea! Dare to live!